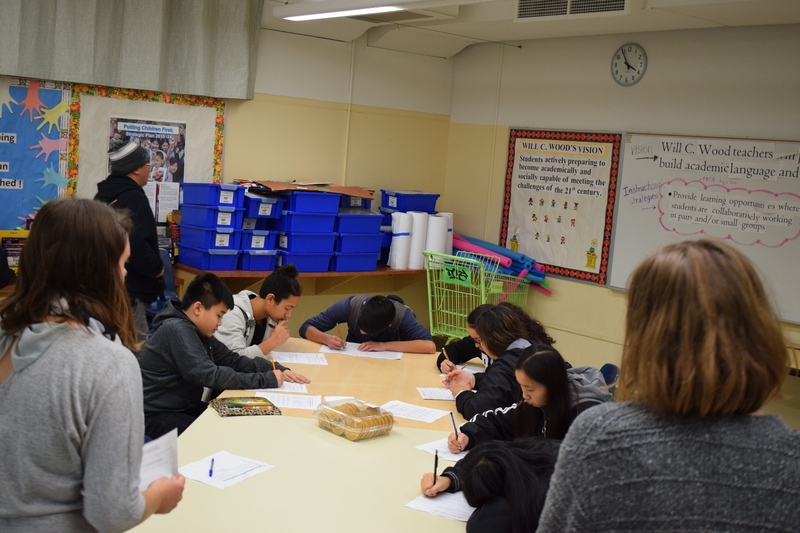 Through a year-long Safe Routes to School program at Will C. Wood Middle School, WALKSacramento has begun working with students in the After School Education and Safety Program (ASES) to do Video Voice projects. Video Voice elevates student voices through video projects, providing students with a platform to discuss and advocate for change in their communities. Many Safe Routes to School programs focus on elementary schools, teaching younger children the basics of street safety and encouraging students to choose active travel modes through events like Walk and Bike to School Day. By using Safe Routes to School as an avenue for civic engagement, WALKSacramento has been able to effectively engage with middle and high school students on the issues they care about and has helped foster youth leadership for health equity, climate change, and sustainability in the built environment. Video Voice is not only a creative project, but also serves as a civic engagement and advocacy tool that allows students to take ownership of potential transportation solutions at their school. WALKSacramento kicked off our first meeting with Will C. Wood ASES students on Tuesday, January 15th by getting to know the group, sharing details about the Video Voice project, and discussing benefits and barriers to walking and biking. The goal of the conversation was to get students thinking about ways to make walking and biking to school more safe, fun, and convenient. Some initial ideas included slowing down traffic along Lemon Hill Avenue at the front of the school, organizing walking groups, and educating drivers about the dangers of distracted driving. In the coming months, students will create their own videos on various transportation-related topics.